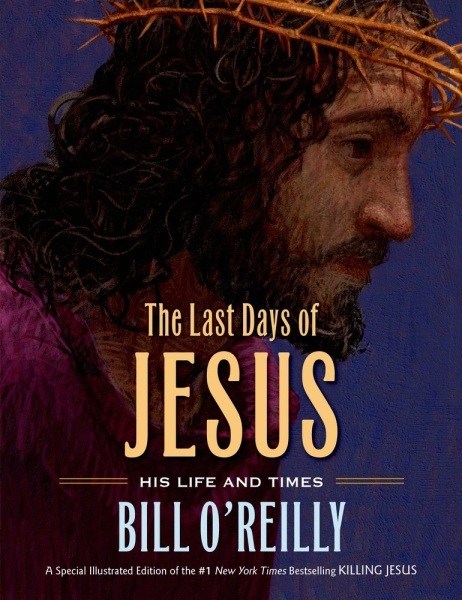 In “The Last Days of Jesus,” Bill O’Reilly adapts the ancient story he recounted in his bestselling “Killing Jesus” in a new illustrated edition that will touch young readers and adults alike. Here's an excerpt. Now soldiers are walking toward Bethlehem. They have come from the capital city of Jerusalem and are approaching this small town, intent on finding and killing a baby boy. The child’s name, unknown to them, is Jesus, and his only crime is that some believe he will be the next king of the Jewish people. The current ruler of the land, a tyrant named Herod the Great, is determined to ensure the baby’s death. None of the soldiers know what the child’s mother and father look like or the precise location of his home, so they plan to kill every baby boy in Bethlehem and the surrounding area. This alone will guarantee that the threat is eliminated. Herod sends the Magi on their way. His parting royal instruction is that they locate the infant, then return to Jerusalem and tell Herod the child’s precise location so that he can visit this new king himself. For centuries, Jewish prophets have predicted the coming of a new king to rule their people. They have prophesied five specific occurrences that would take place to confirm the Messiah’s birth. The third prophecy is that the child will also be a direct descendant of David, a fact that can easily be confirmed by the temple’s meticulous genealogical records. And finally, the child’s mother will be a virgin. Herod gazes out of his palace window, waiting to hear that all the baby boys in Bethlehem have been killed. He is afraid of what will happen if a king rises up to save the Jewish people. One result is likely: it will mean the end of his good life. Even though he is half Jewish, Herod’s allegiance is to Rome. Judea is part, though only a small part, of the vast Roman Empire—a sprawling kingdom stretching the length of Europe, across Asia Minor, and including almost the entire Mediterranean rim. But Herod’s kingdom is different from any other under Rome’s iron fist: it is the only Jewish territory. The Jewish people are an ancient civilization founded on a belief system that is at odds with Rome’s. The Jewish people believe in one true God; the rest of the empire worships many pagan deities and even considers its emperor divine. Herod stands between the Jews and the Roman emperor Augustus Caesar in their uneasy relationship. Rome will leave the Jews alone as long as Herod keeps his people productive so they can pay the high taxes that Rome demands. Herod doesn’t know it, but Jesus and his parents have already traveled to Jerusalem twice before to pay visits to the great temple, the most important and sacred building in all Judea. Perched atop a massive stone platform that gives it the appearance of a fortress rather than a place of worship, the temple is a physical embodiment of the Jewish people and their ancient faith. The temple was first built by Solomon in the tenth century BC. It was leveled by the Babylonians in 586 BC and then rebuilt nearly fifty years later. Herod recently renovated the entire complex and increased the temple’s size. Now it is not just a symbol of Judaism, but of the king himself. Eight days after Jesus’s birth, his parents made their first visit to the temple so that he might be circumcised. There the child was formally named Jesus. The second visit came when he was forty days old. The baby boy was brought to the temple and presented to God, in keeping with the laws of the Jewish faith. His father, Joseph, a carpenter, dutifully purchased a pair of young turtledoves to be sacrificed in honor of this solemn occasion. Something very strange occurred as Jesus and his parents entered the temple on that day, something that hinted he might truly be a very special child. Mary, Joseph, and Jesus were traveling quietly, not doing anything that would draw attention. Even so, two complete strangers—an old man and an old woman, both of whom knew nothing about this baby called Jesus or his fulfillment of the prophecy—saw him from across the crowded temple and came to him. At that very moment, a woman named Anna approached. She was an eighty-four-year-old widowed prophetess, who spent her waking hours in the temple, fasting and praying. Simeon’s words were still ringing in Mary’s and Joseph’s ears as Anna stepped forward and also praised Jesus. She loudly thanked God for bringing this special baby boy into the world. Then she made a most unusual claim, predicting to Mary and Joseph that their son would free Jerusalem from Roman rule. Mary and Joseph marveled at Simeon’s and Anna’s words, flattered for the attention, as all new parents would be, but also unsure what this talk about swords and redemption truly meant. They finished their business and departed into the bustling city of Jerusalem, both elated and fearful for the life their son might be destined to lead. There are many more prophecies about the life of Jesus outlined in Scripture. Slowly but surely, as this child grows to manhood, those predictions will also come true. Jesus’s behavior will brand him as a revolutionary, known throughout Judea for his startling speeches and teachings. He will be adored by the Jewish people but become a threat to those who profit from the populace: the high priests, the temple elders, the puppet rulers of Judea, and most of all, the Roman Empire. And Rome does not tolerate a threat. The Romans have learned and mastered the arts of torture and persecution. Revolutionaries and troublemakers are dealt with in harsh and horrific fashion in order that others won’t be tempted to copy their ways. Reprinted from "The Last Days of Jesus" by Bill O'Reilly. 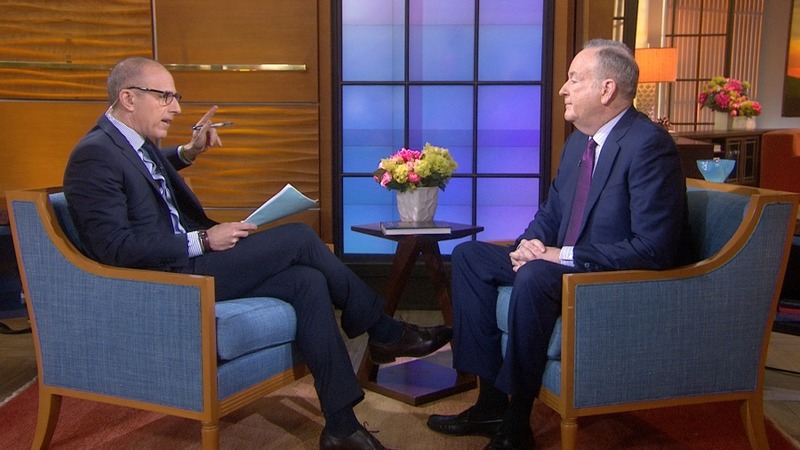 © 2014 by Bill O'Reilly. Used with permission of the publisher, Henry Holt and Company, a division of Macmillan.